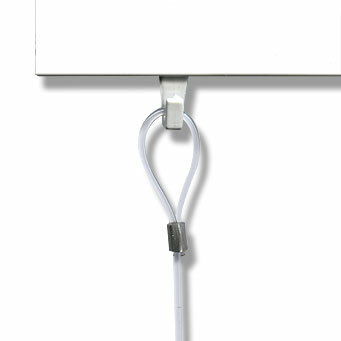 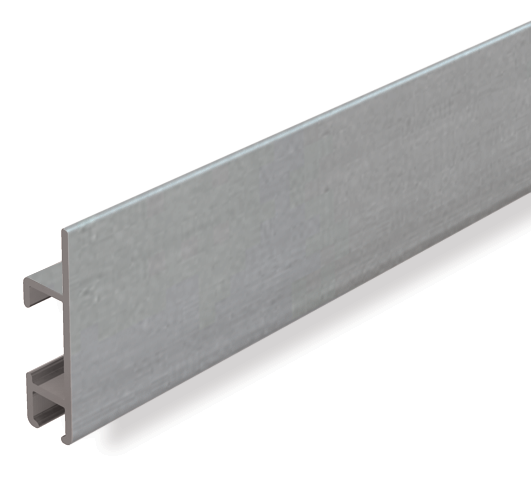 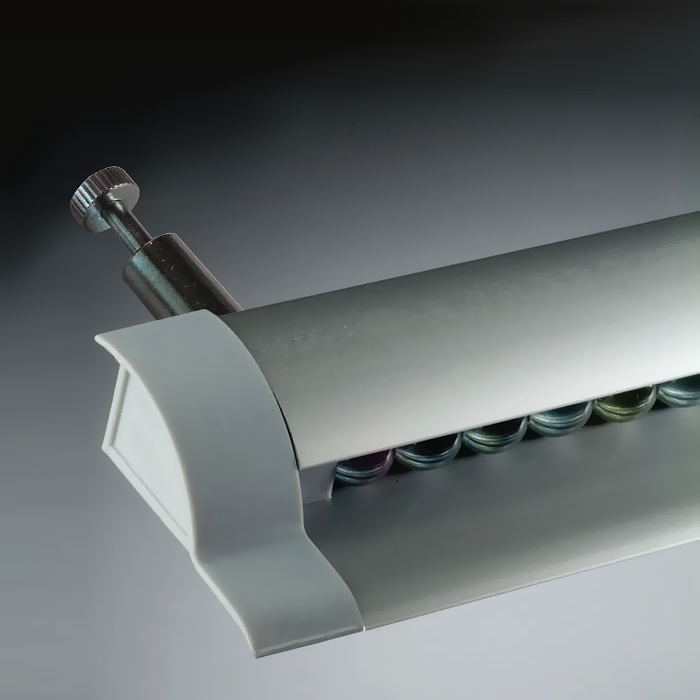 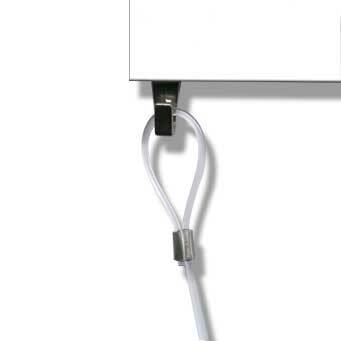 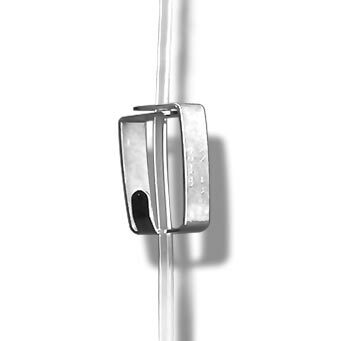 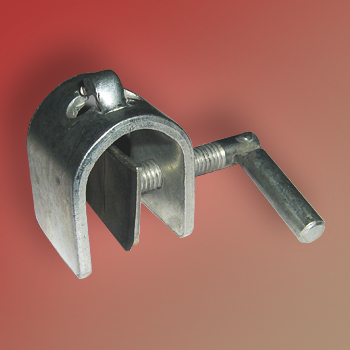 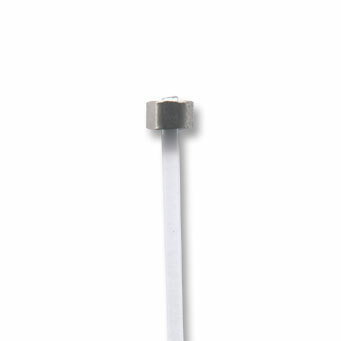 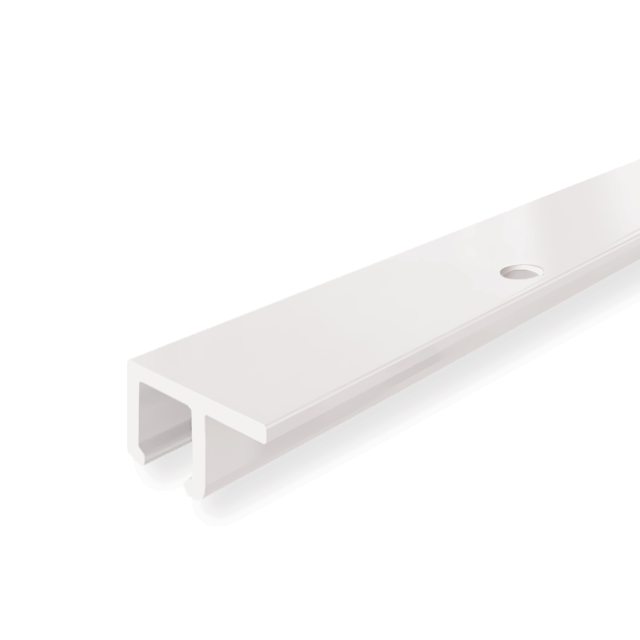 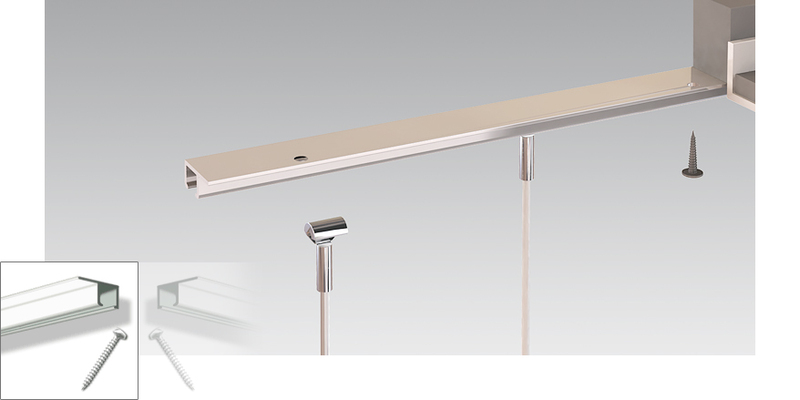 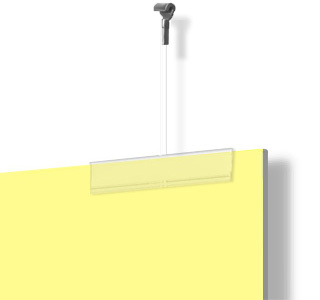 The U-Rail picture hanging system is designed for ceiling mounting. 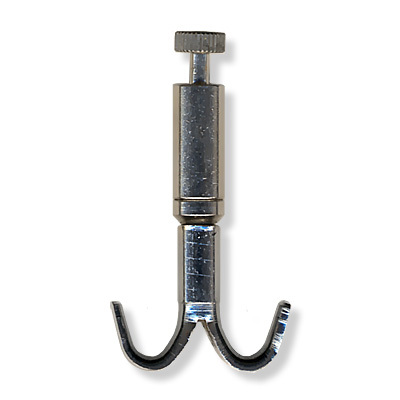 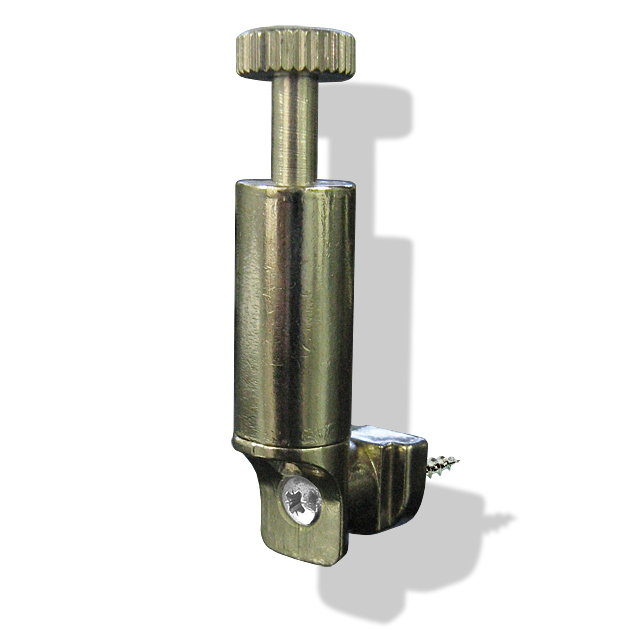 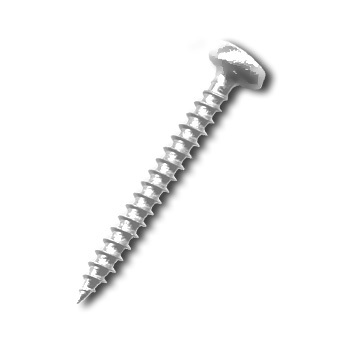 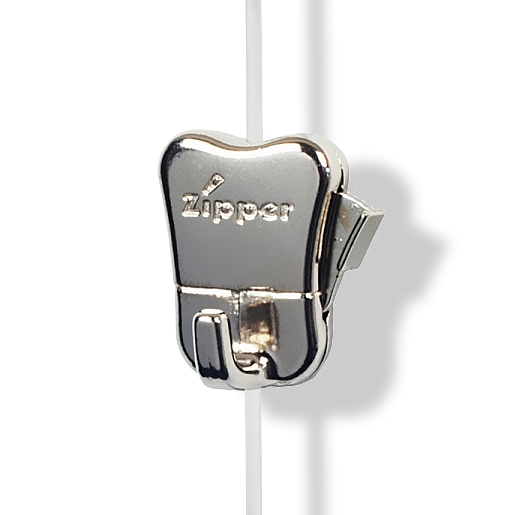 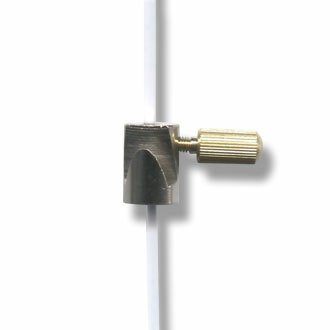 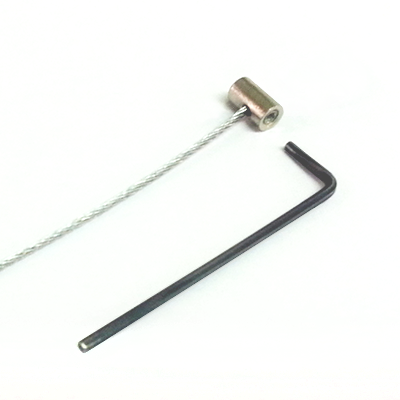 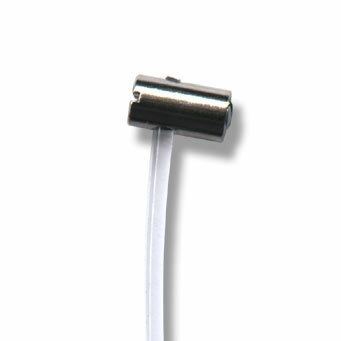 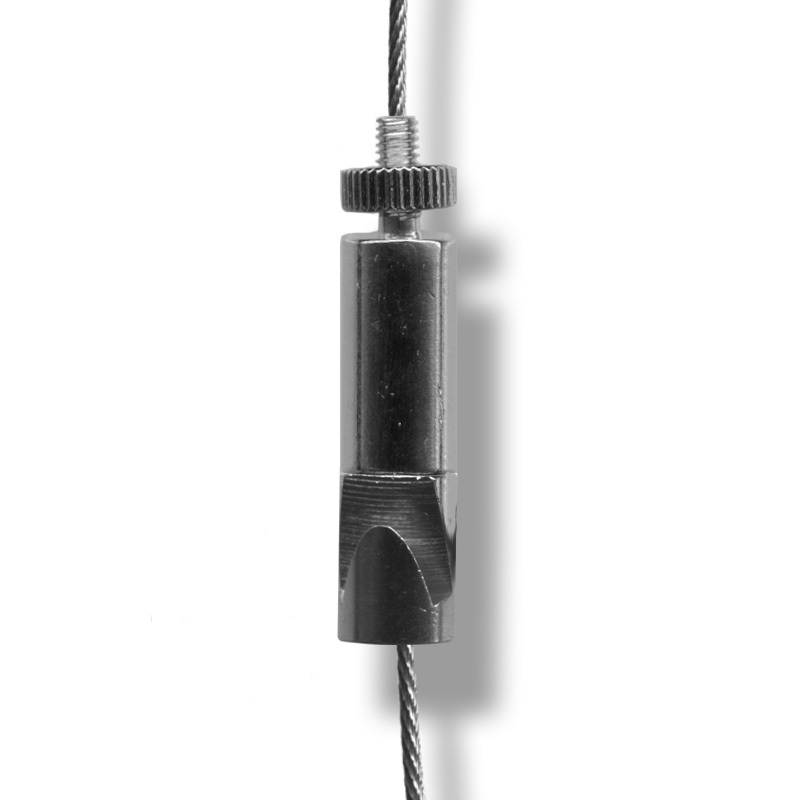 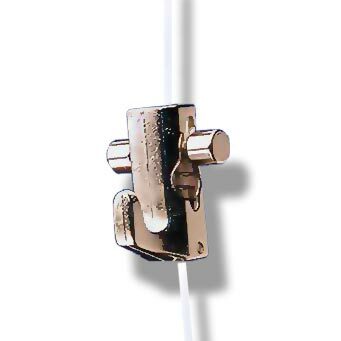 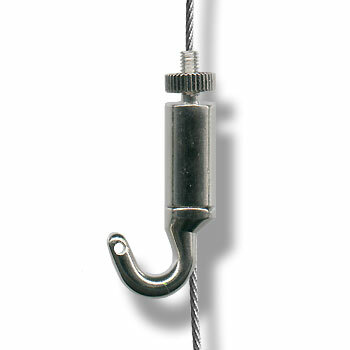 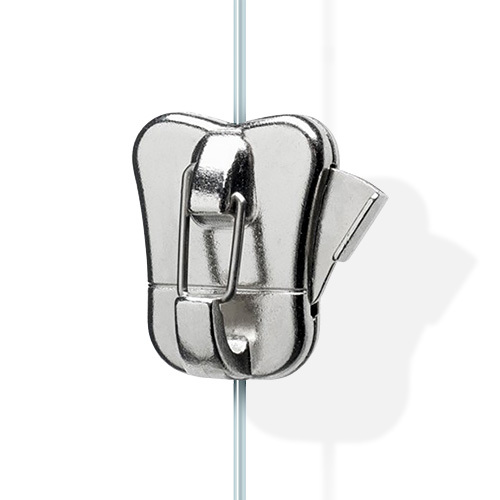 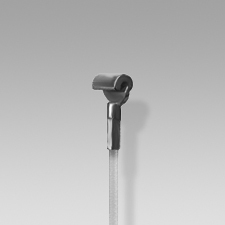 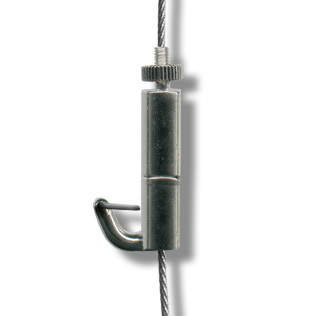 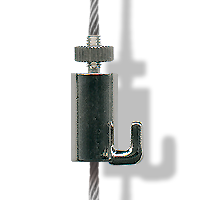 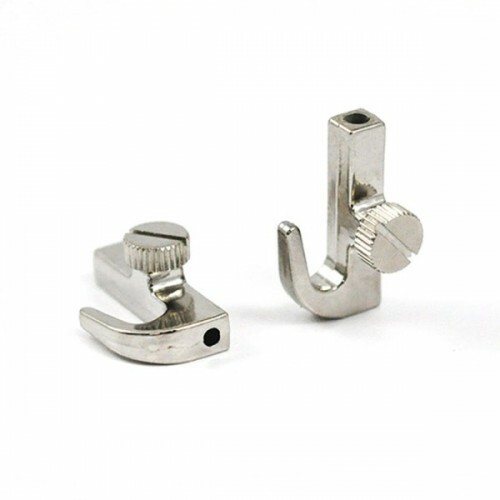 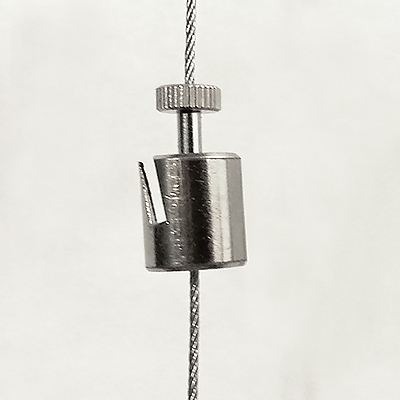 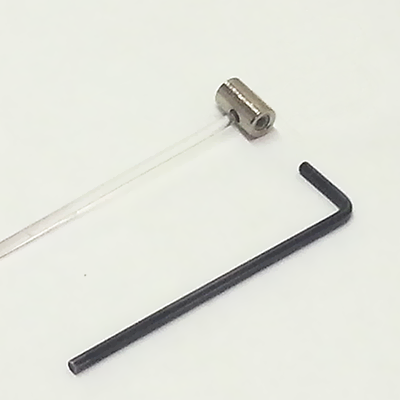 It uses Cobra, Disc or barrel Anchors with 2mm transparent perlon cord or steel cable. 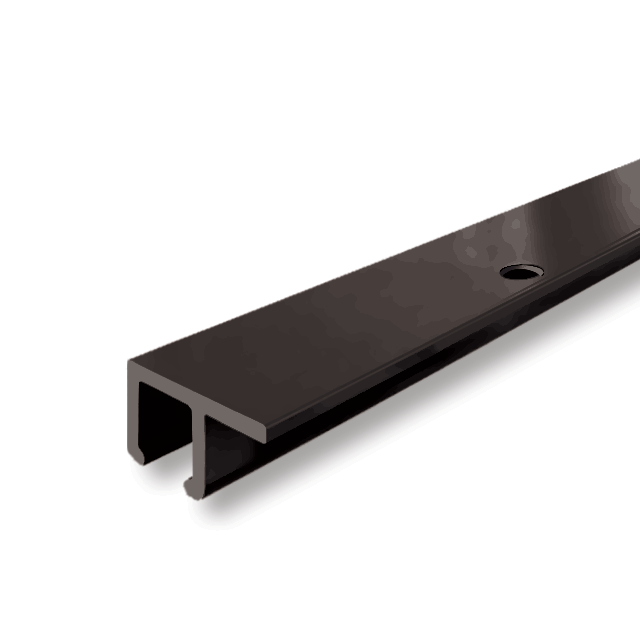 Track Profile 14 x 6 mm.